Grocery stores are uniquely positioned to be key partners in health and wellness for the communities they serve. SN’s exclusive research from the 2017 Whole Health Survey provide insights for mass retailers and their suppliers on this thriving category. 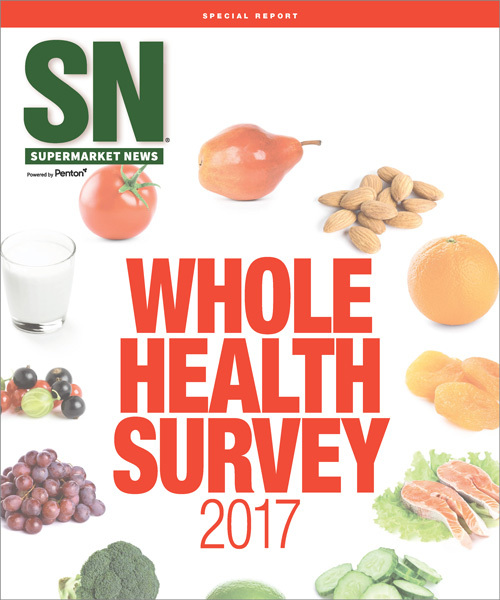 Included inside is the complete data set and remarks from nearly 402 SN subscribers with a stake in health and wellness in grocery. What type of valuable information will you learn? What do you see as the Top 3 wellness trends of 2016? How have sales in health and wellness-related categories changed over the last 12 months? Over the next year, do you expect mergers and acquisitions in the natural/organic space to…. In what categories do conventional products remain strong? In the past year, what channel was the strongest competitor to supermarkets in health and wellness sales? How do you merchandise natural/organic products in your store? Which of the following “better for you” categories do you expect will grow most during 2017? Have you ever thought of a POP-UP Beauty Bar – Carts Blanche’s VendaCarts offers just that. One industry that seems to have a fast track from startup to being bought for millions by large corporate conglomerates is the beauty biz. And right now, that business is on fire. Millennials are such big consumers of beauty products that by their sheer numbers they create beauty trends—and fads. Right now, says millennial authority Ypulse, these young consumers are obsessed with natural ingredients, which led to natural beauty products growing 7% last year, compared to 2% growth in the overall beauty market. American consumers, in particular, are concerned about chemicals in products, which has led to brands adding ingredients you’d be comfortable eating in a healthy salad, like kale, turmeric, carrots, milk and almonds. If this industry sector interests you, Mintel forecasts, “Looking to the future, there are opportunities for nail polish brands to further promote their superfood ingredients by texture matching, or creating DIY products for users to mix at home.” Another area of opportunity, it says, is creating products for aging nails—”hydrating, strengthening and smoothing products, designed specifically for older consumers.”http://mailchi.mp/smallbizdaily/teen-scene-to-market-to-teens-heres-what-you-need-to-know-615369?e=d4f7aa6700 Follow Trendcast for the latest and greatest trends. shade and shelter for your customers. Signage goes perfect as a total wrap.